Should New Hampshire allow hunting with an air rifle? New Hampshire is currently the only state that does not permit some legal hunting with air rifles. Rep. James Spillane would change that, with a 2018 bill that would allow hunting in New Hampshire with an air rifle. An air rifle uses compressed air or another gas to propel pellets, whereas a traditional firearm uses a small explosion. Air rifle technology has come a long way since the Red Ryder B.B. gun featured in A Christmas Story. Manufacturers have developed air guns powerful enough to take down big game. Air rifles offer several challenges and opportunities for hunters. They are much quieter than traditional firearms, but have a shorter range, which requires the hunter to get up close to prey. The lower power and smaller impact of air rifles can make it more difficult for a hunter to humanely kill an animal with a single shot. Some opponents therefore believe air guns should not be used for hunting. 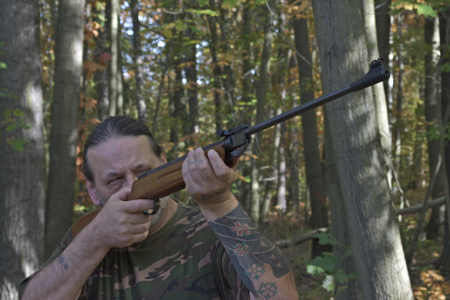 Do you think New Hampshire should allow hunting with an air rifle? Let us know in the comments below. Air gun hunting was the primary method used by Lewis and Clark on their expedition back in the early 1800's for its efficiency and cost effectiveness. Aig guns have come a long long way since then. Most people do not realize how effective these are. I was on a black bear hunt in Canada several months ago and I saw how effective these were in person. So much so that most of the animals harvested and found right away were done so with the Airgun, whereas those that were lost or that took much longer to find were hit by higher caliber firearms. The reason is that the airgun is slower so their entire impact is absorbed and not used to exit quickly. It makes for a much more humane harvest. 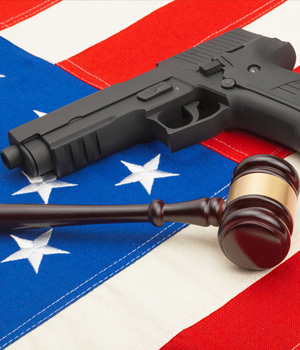 People have been hunting for a very long time and there is no reason that the State known for "Live Free or Die" should not have the same rights as every other state. This restriction is just wrong in my book. I hope it gets passed. If hunting with an air rifle is permitted it would certainly be regulated, just as is hunting by any other means. Just as it isn't legal to hunt deer with a 22 caliber rifle I'd expect expect there to be a clearly defined list of animals allowed for air rifles. Other regulations would also be defined, such as distances from roads and occupied structures. We also have specified areas where it's shotgun only (no rifles allowed) and similar restrictions might apply for air rifles. This can work with air rifles as readily as it does with other means of hunting. Hunters don't need another weapon to hunt with. It doesn't even make any sense that they want this weapon. This is most likely just a strange little quirk of the "avid hunter" Rep Spillane. No, it should not pass. There is no reason to use air rifle for hunting. It is not as accurate, and the performance changes with cold temperature too. The last thing you want as a hunter is to have injured animal run away and die a slow agonizing death. My husband used to hunt. I have not heard any serious hunter think of using an air rifle for hunting. It may seem fun for some, but that 'fun' should not be at the expense of animal cruelty.